Posted on January 11, 2013 by L.T.L. of course, the more we talk of god, the less we say – for he is infinite, and our language, rich as it might be, is finite and lacks dimension. but seeing the infinite in the finite is a gift and a sign of being created in his image, for this is who we are, and nothing can take it away from us. and his fire burns in us, and will not be quenched. 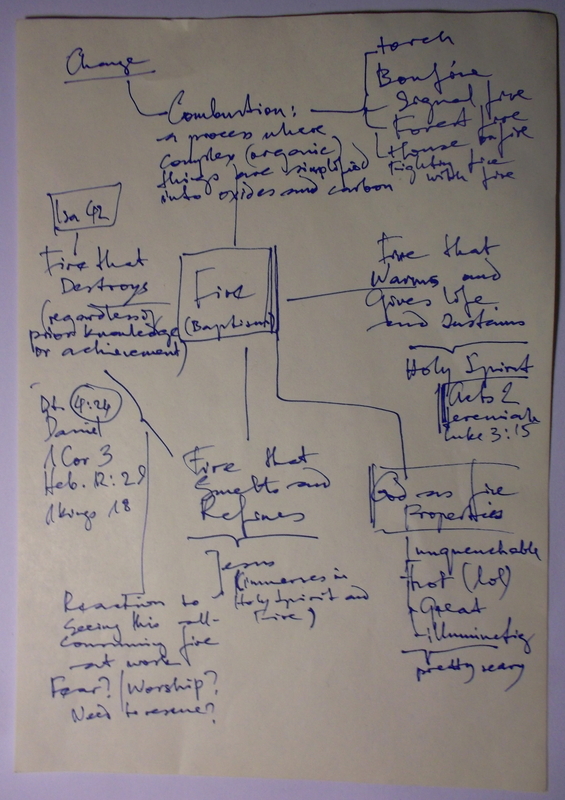 here is an image of an old-school mind-map on the subject.